The UA offers the only B.A. in Law degree in the country! Study core legal subjects taught by faculty in the James E. Rogers College of Law and the School of Government and Public Policy. Choose electives such as criminal law, immigration law, and international law. Law majors can apply to the College of Law and, if accepted, begin law school as seniors. Study foundational areas of law, such as property, contracts, and criminal and civil procedure. You will be qualified to meet the increasing demand for professionals with legal training in varied career fields. 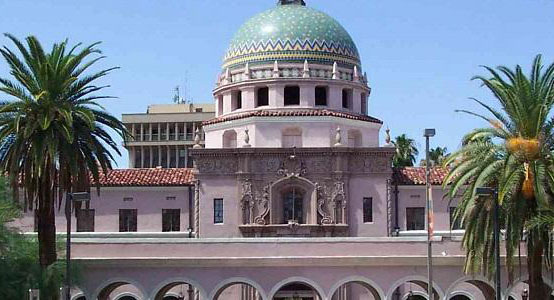 Get real-world experience during law-related internships at places such as the Pima County Attorney’s Office; U.S. Marshal’s Office; Oro Valley and Tucson Police Departments; and the Public Defender’s Office.